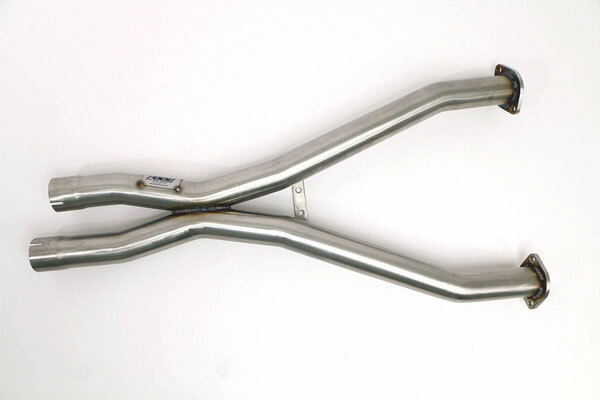 B&B Billy Boat Exhaust FCOR-0295 - B&B C5 XPIPE 2.5inch; 1997-2004. The X-Pipe section evens the exhaust pulses with a synchronized crossover in the center section resulting in a deeper, smoother tone. Hand-crafted from the finest T304 stainless steel materials and mandrel bent for a perfect fit. The Billy Boat Corvette X-Pipe provides a smoother transition for the exhaust pulses to blend together for better balancing and scavenging. No emission components are altered with this X pipe and it is emissions legal in all 50 states. FCOR-0295 Features: Mandrel bent from the highest-grade T-304 stainless steel. Designed, tested, and manufactured to the finest hand-made integrity found in any exhaust system.